Treating his lover with his best homemade dish. 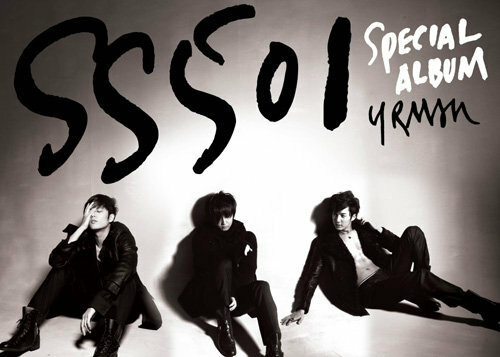 After 2pm, the location was moved to No.22 villa to shoot the scene of Hyun Joong treating his “lover” with his homemade dish. However there was an unexpected incident here. There are only forks but no knives in the kitchen. Hyun Joong was not bothered about this and started cutting the pineapple with the fork. Cutting the pineapple with a fork as there were no knives. But as expected, it was a hard fight. Eventually, a staff arrives with a large knife. Hyun Joong saw the staff crouching down while entering the kitchen as not to affect the shooting, sounding composed and made a remark. “Seems like a thief has entered…..entering once in while”. Even over here, bursting out with “Hyun Joong’s Talk”. It will soon be sunset. Shooting of the driving scene starts on the sports car that came late. 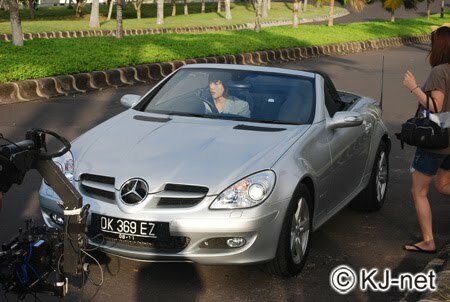 The last shoot for the 2nd day was the car scene heading to Pecatu Indah resort. Even over here, there was an unexpected accident. Supposingly to shoot Hyun Joong in the sports car racing away down the road but all were waiting for the main sports car which has not arrived yet. This has to be taken before sunsets else the shooting schedule will be a mess. Though the temperature isn’t low but in terms of season, it is winter thus it start turning dark at 6pm. Due to the language barrier, there is an argument with the local staff and the director was starting to feel irritated. Right before sundown, the Benz sports car finally appeared and the shoot ended with all the staff feeling relieved. The staff holding the large knife burst out laughing together with everyone. Impressed with his quick witted remark. With the flow of the clouds the sky and sea changing every second. Hyun Joong’s expression also change with variations. 3rd day of the shoot on 30th. Today’s main shoot is on the cruise. 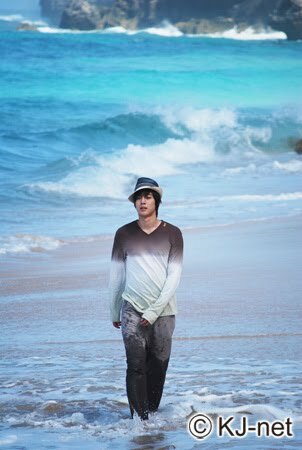 Kim Hyun Joong first memorable DVD & Photo Book, “The First Love Story”. What kind of image will be shown, having great expectations for it. while continuing with the photo shooting. 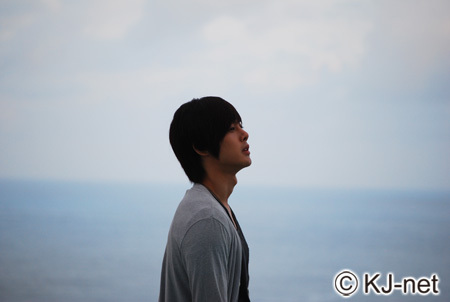 I really appreciate everyone who contributes to sending us reports of Leader's filming in Bali. It's great to know what really transpired in the making of his DVD. He's such an eye-candy. Have you bought a copy of "The First Love Story"?